At the American Pit Bull Registry we maintain a proprietary genealogy tracking system that is the most advanced in the entire Registration industry. We are the only registry to cross track Pit Bulls from all registries and private pedigrees allowing us to provide the greatest insight possible on your Pit Bull's lineage. As a result of our advanced tracking we offer the largest printed peidgree in the industry that is over 800% larger than the next closest alternative registry. Check out just one of the 7 types of reports offered with our demo below. Be patient as it will take a while to completely download. 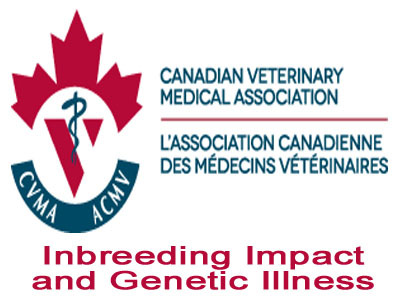 Understanding the impact of inbreeding in purebred dogs, related genetic illness and methods to combact genetic disease. in the entire registration industry. 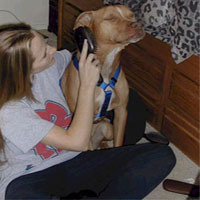 The American Pit Bull Registry manages a proprietary genealogy tracking system that is the most advanced in the entire Registration industry. 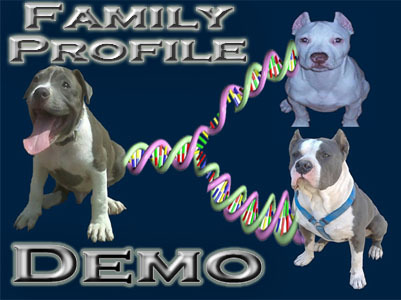 With our Family Profile tracking system we are the only registry to cross track across all registries that register the Pit Bull breed as well as private pedigrees. Unlike other registries that still continue to maintain a flat and outdated two dimensional approach to tracking lineage the APBR's system is three dimensional and not only tracks backwards but also laterally and forward over time as your Pit Family grows. In addition to our advanced genealogy tracking services we also offer the largest printed pedigree in the entire Registration industry known as the Super Pedigree. The Super Pedigree ranges from 8-11 generations and at 11 generations is over 8 times larger than the next largest printed pedigree by an alternative registry. At the APBR we feel it is critical that when someone chooses to breed that they do so in an educated manner. Irresponsible breeding is the number one reason pets end up at shelters, pounds and rescues and is the number one reason why so many are needlessly put to death on an annual basis. Contrary to what many in the so-called humane care industry profess there is not an overpopulation problem of purebred dogs. There however is an overpopulation issue with irresponsibly bred dogs. If you are considering breeding it is critical that you understand the process beforehand. This will insure that you are not adding to what is truly an overpopulation issue but instead providing a valuable service to the general community by providing high quality purebred pets. 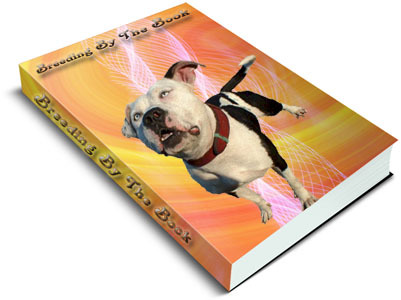 To learn about proper breeding, marketing, customer screening and sales order your very own edition of "Breeding By The Book" today. Whether breeding or looking for a well-bred pet, it is important to understand the impact of inbreeding. Taking the time to read the following article before your next mate or pet search could save you tons of heartache over the long-term by insuring you are fully aware of the risks and proven health impacts associated with inbreeding. Scientific evidence on inbreeding. "My girlfriend and I were both surprised by all the great things you guys send out with the registration. The Family Profile and advanced genealogy tracking is a great concept. I am really excited about that and we do plan to eventually breed Brick with another Wallace Red Nose. Thank you so much for everything."